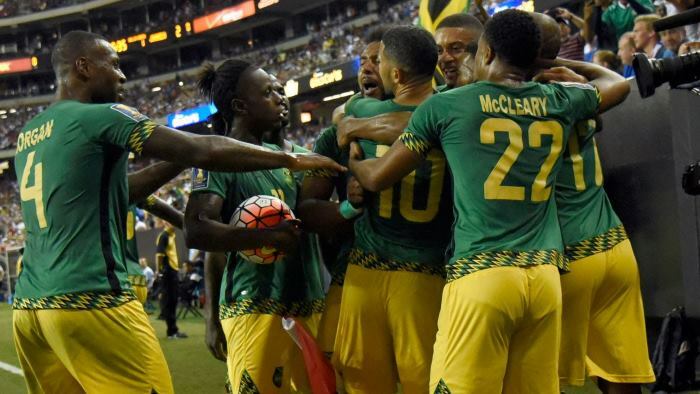 Jamaica’s Reggae Boyz remain in 54th place on the most recent FIFA/Coca Cola World Rankings. The Boyz also remain the number one ranked Caribbean team and 4th in CONCACAF. Curacao, at 81, is second in the Caribbean ahead of Trinidad who also slipped a place to 93. Haiti (103), Antigua and Barbuda (126) and St. Kitts and Nevis (134) round out the top five. Recently crowned Asian Champions Qatar climbed a whopping 38 places to be ranked 55th and beaten finalists Japan also jumped 23 places to be ranked at number 27. The top ten is completed by Portugal, Uruguay, Switzerland , Spain and Denmark.